This bad idea has been brought to you by an insane, death wish teenager from Australia. Do not try this at home. Crazy! officials to the beach, to warn others not to try such a stunt. "Adult southern right whales can reach 18 meters (59 feet) in length and weigh up to 80 tons. If you are in the way of a tail slap or when it breaches, you are unlikely to survive," said Mike Shephard, a district manager for the Australian Department of Environment and Conservation. A witness said the whale rider boarded a southern right whale on Friday afternoon about 20 meters (66 feet) off Middleton Beach, in the Western Australian city of Albany, the environmental agency said. The witness took a photograph and was to turn it over to authorities. But authorities will not release the image, because it will be part of the investigation, a spokeswoman for the agency said Monday afternoon. No further leads had emerged, she said. 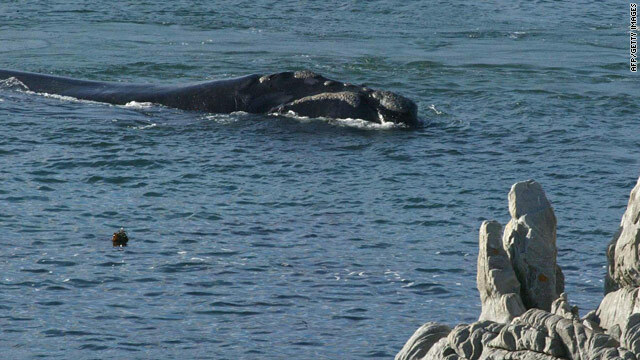 "Southern right whales come close to shore to rest and to allow calves to gain strength in calm waters. Disturbance or physical contact with them, either deliberate or accidental, not only distresses the whales, but also could result in a tragic outcome for a foolhardy person," the environmental agency said in a news release. 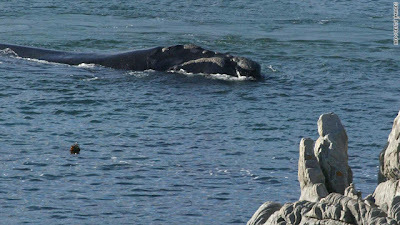 People risk a $10,000 AUD ($9,585 USD) fine if they come closer than 30 meters (98 feet) to the whales, officials said. Southern right whales migrate along southern Australia from June to October. Right whales reportedly came by their name because they're relatively easy for whalers to hunt."